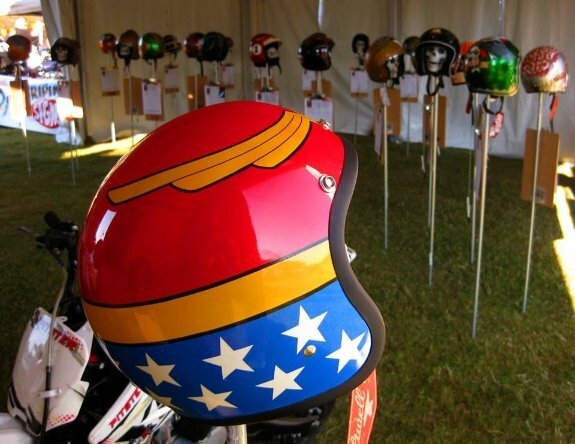 The Barber Motorsports Park Vintage Festival draws thousands of two-wheeled enthusiasts each year who are excited to see not only the old, but also the new. 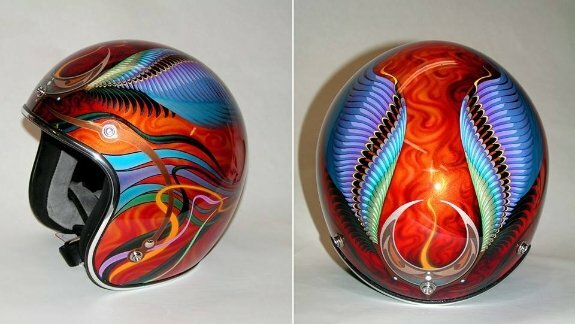 Larry Gardinier decided it would be the perfect spot to display and sell the work of artists who could paint on, what else? 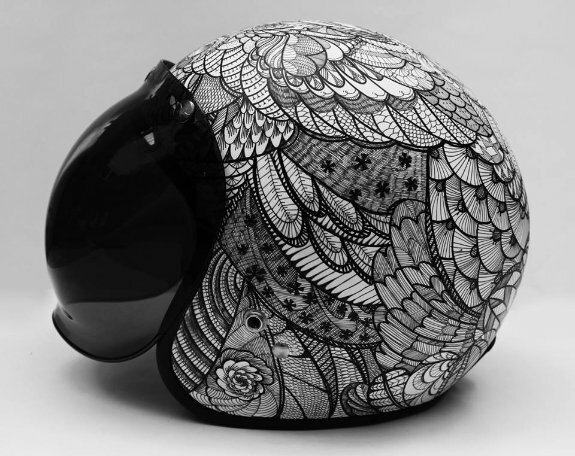 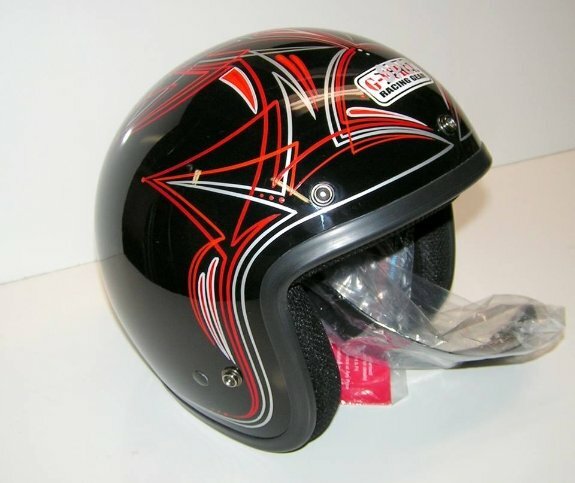 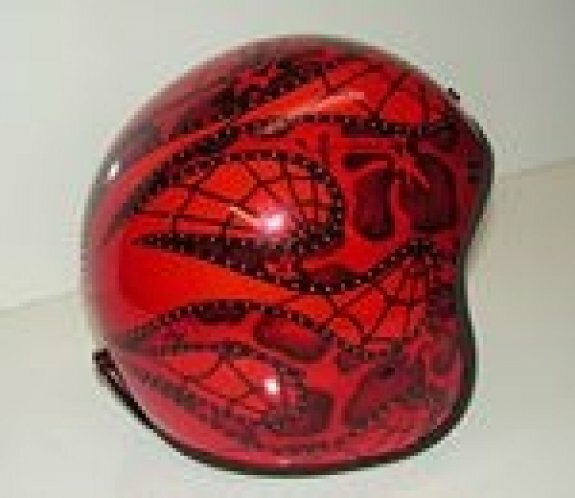 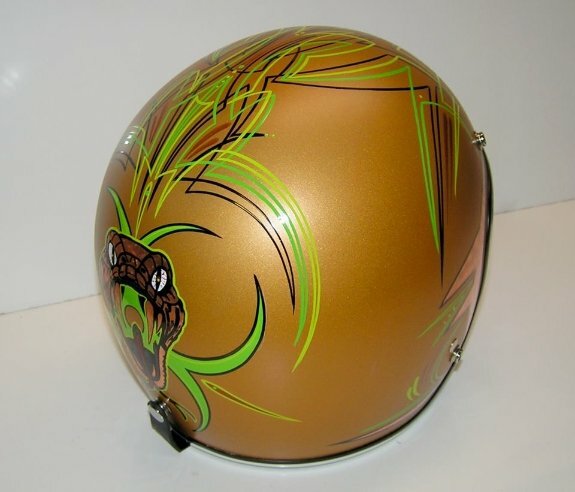 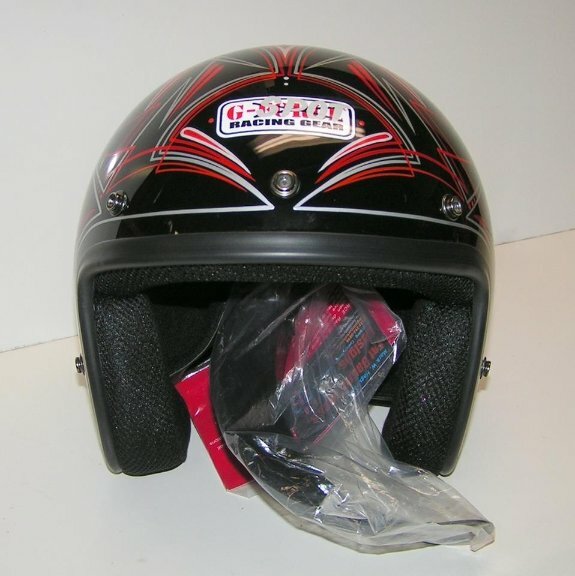 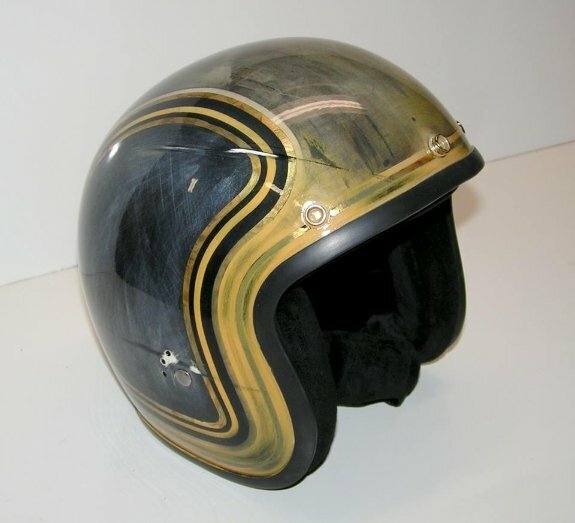 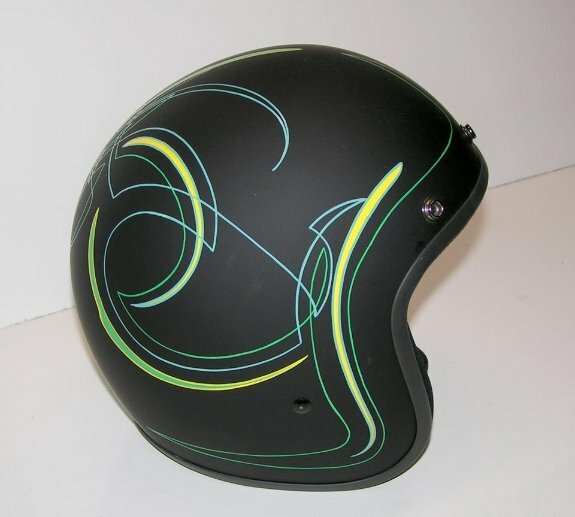 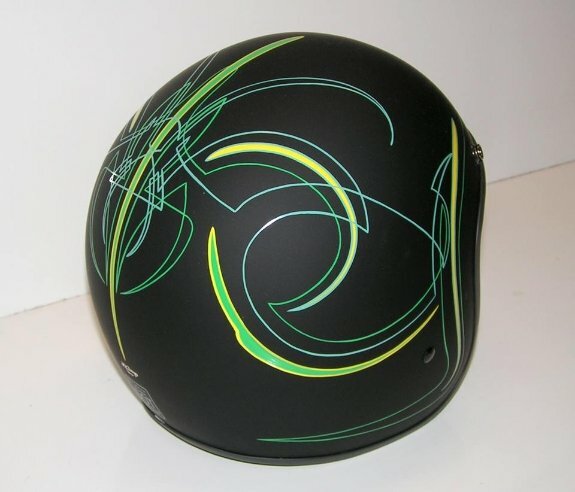 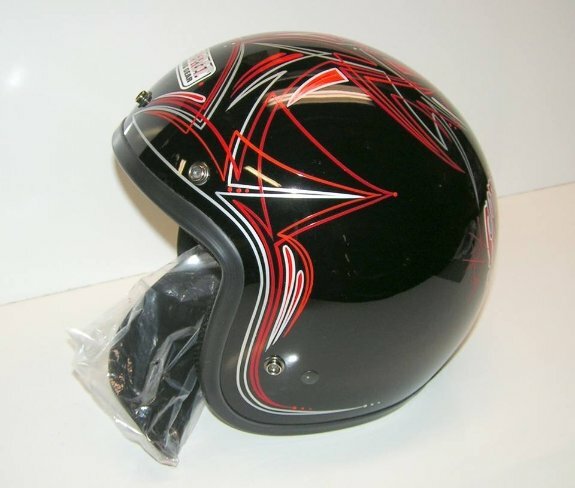 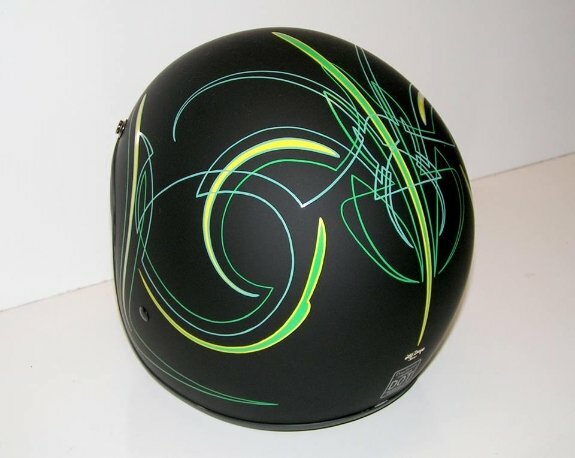 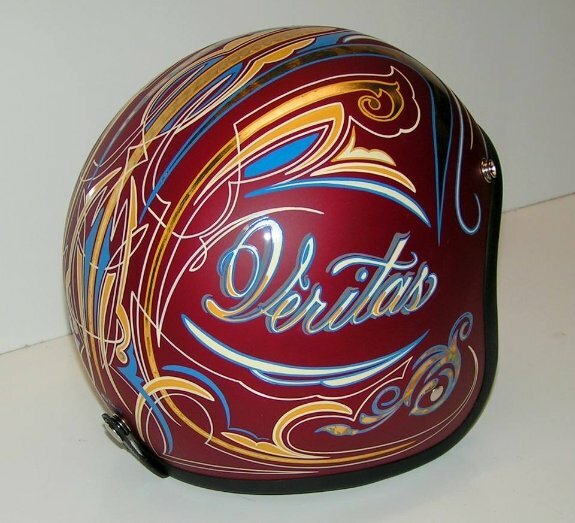 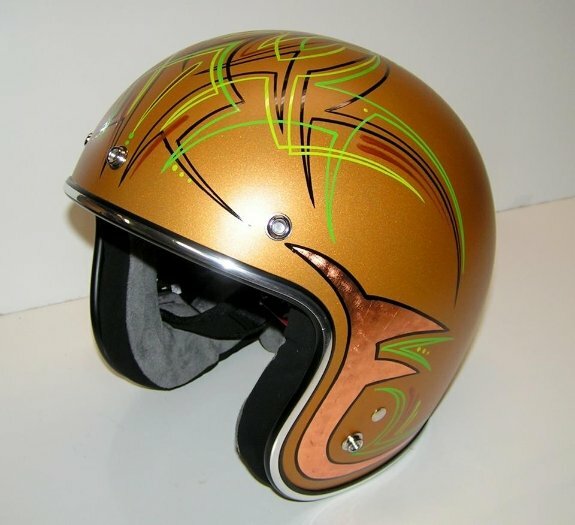 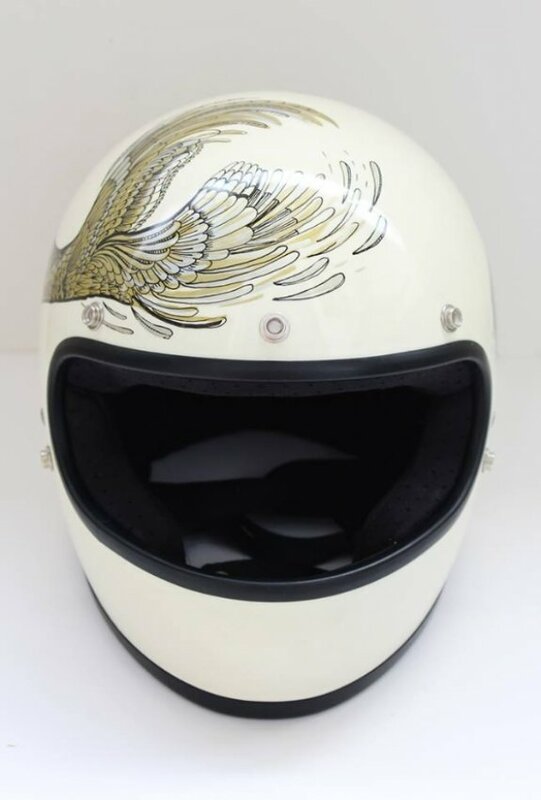 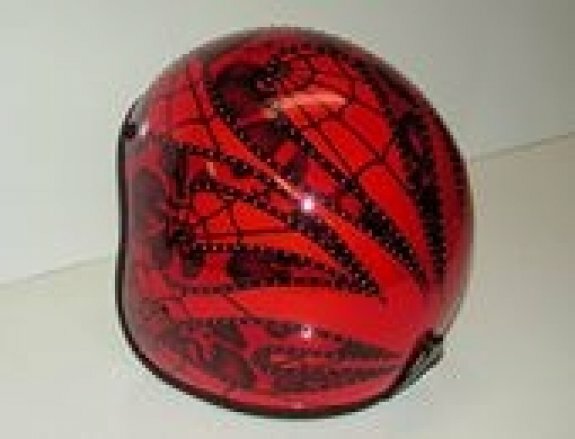 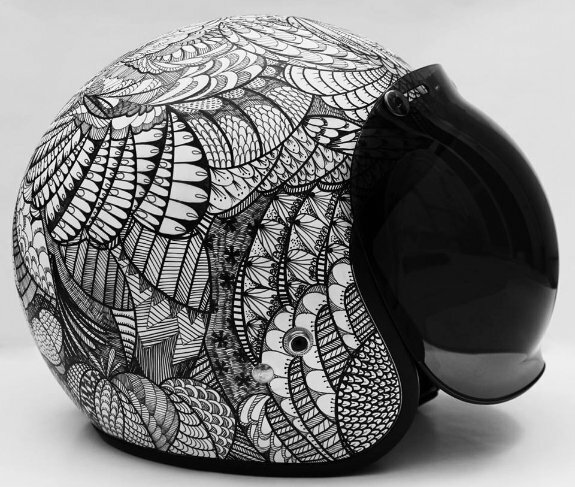 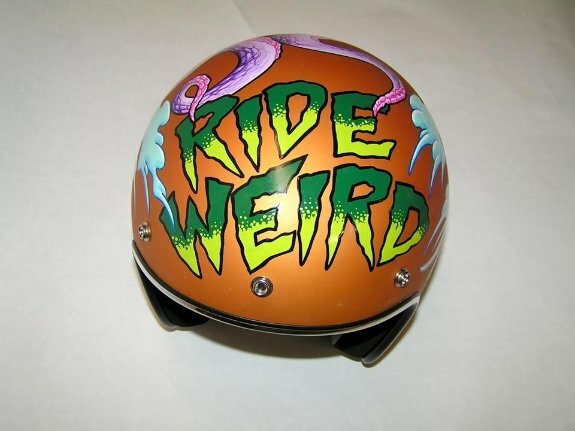 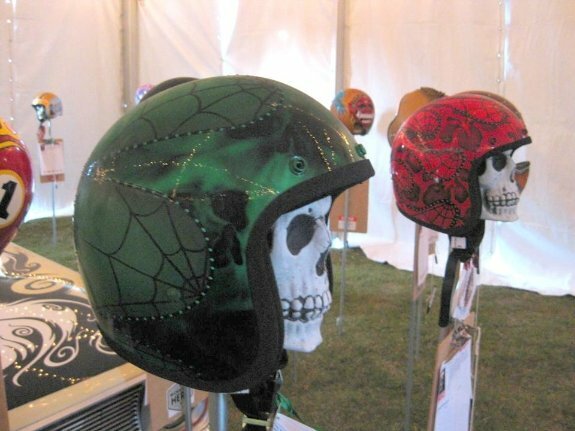 Motorcycle helmets! 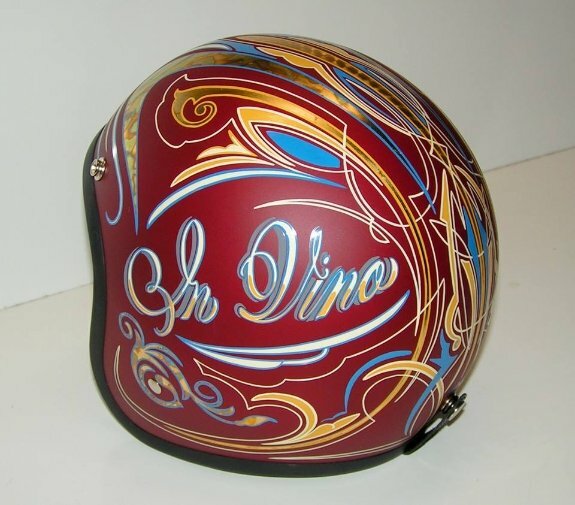 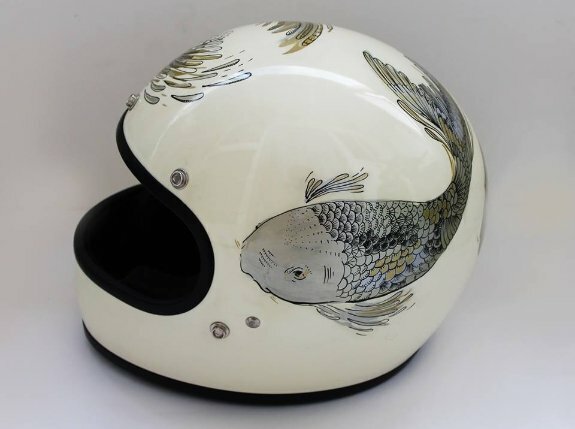 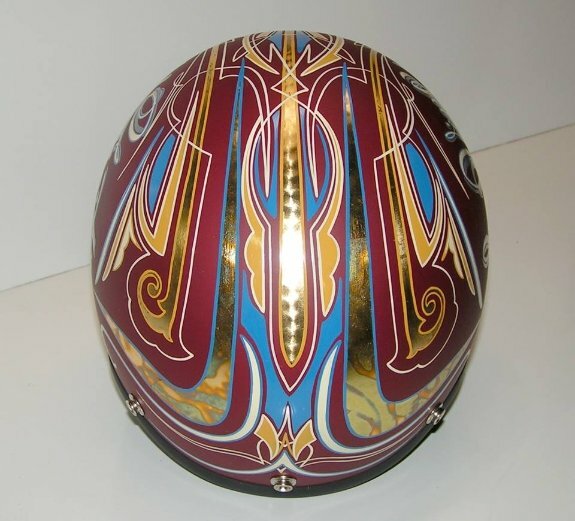 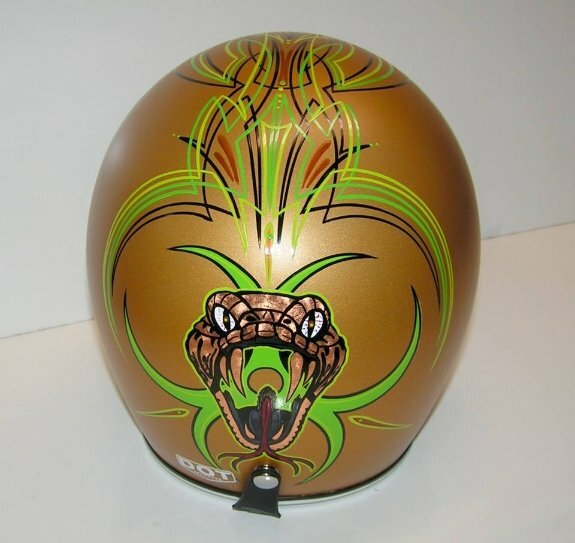 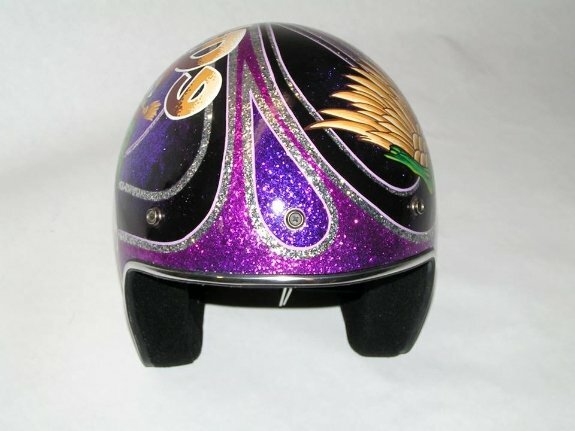 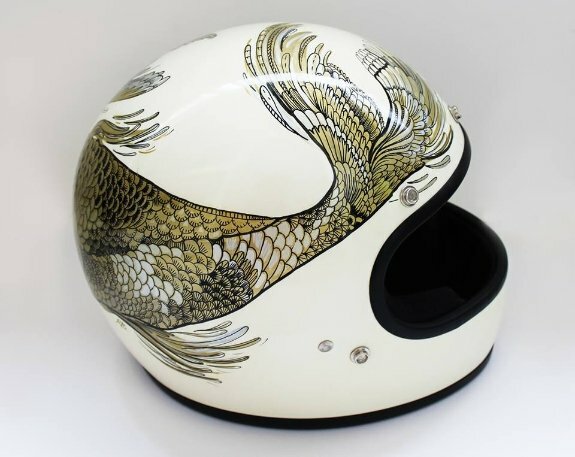 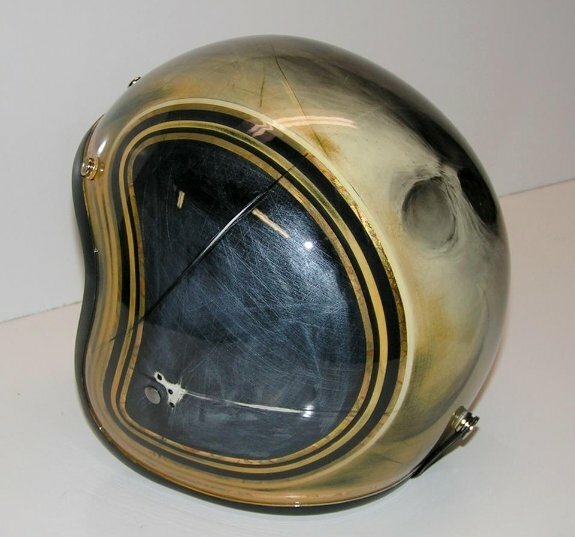 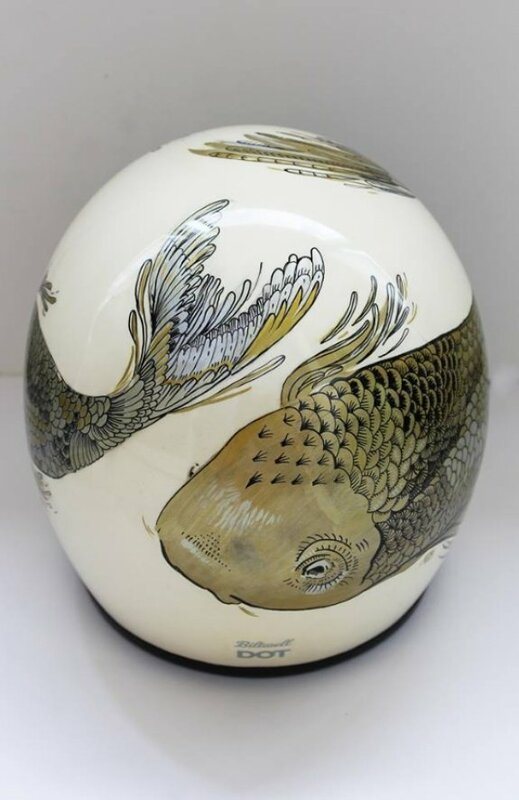 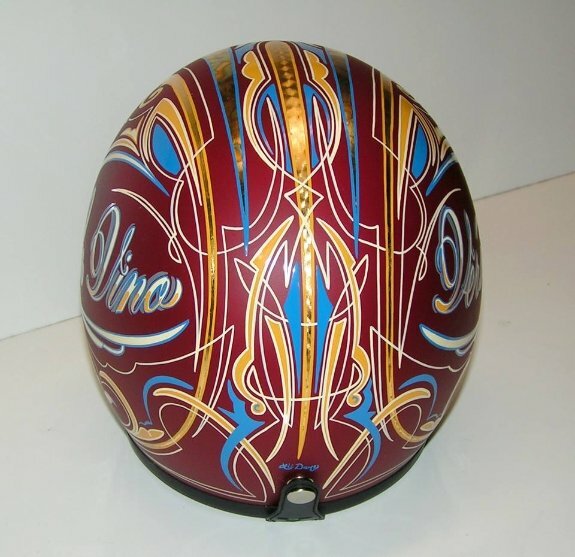 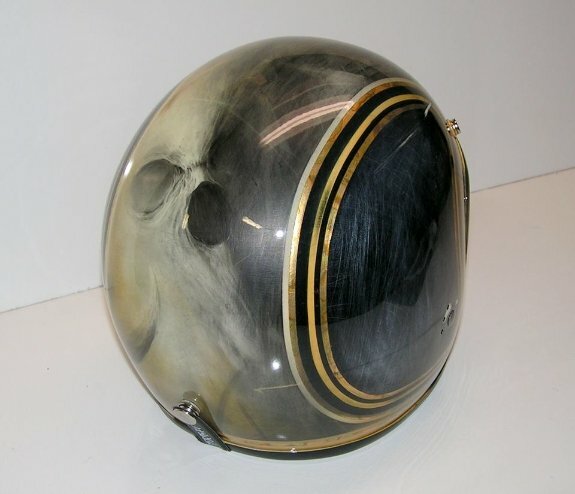 “I’d seen a video of a helmet show out on the west coast,” Gardinier explained, “and thought maybe I should try something like that myself.” Gardinier is a 20 year veteran automotive artist and admits he’s always ready to try new things. 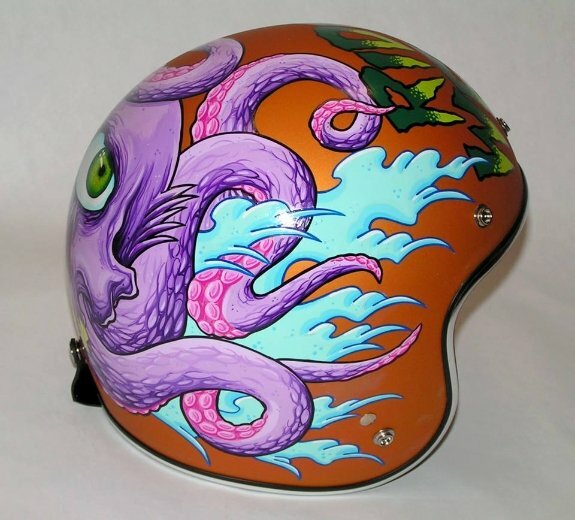 Painting on helmets seemed a natural. 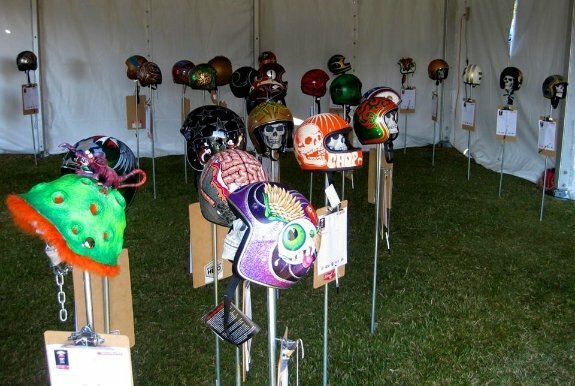 “Of course I had someone ask me why I didn’t organize a similar event on my side of the country,” he says. 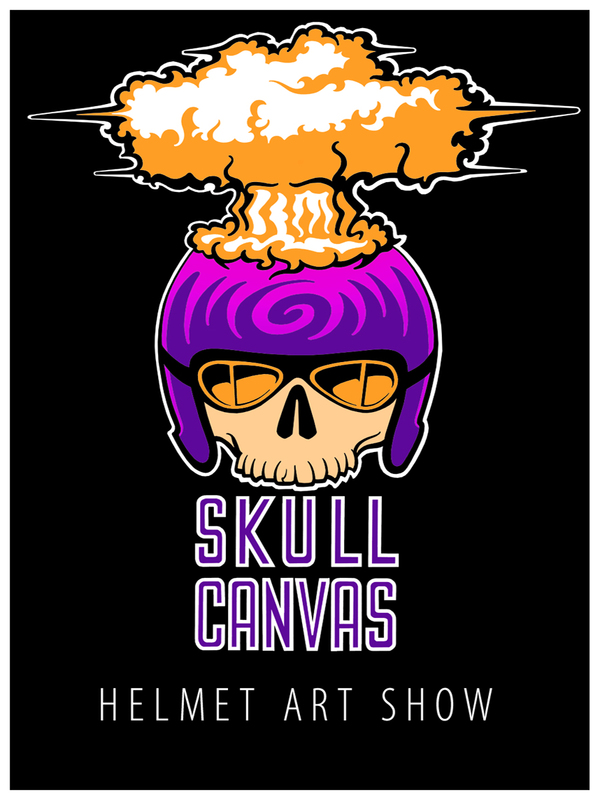 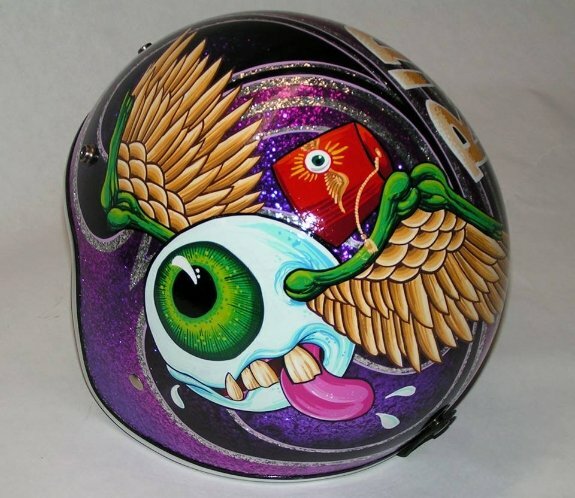 “I couldn’t think of any good reasons and Skull Canvas was born.” Plans are already underway for the third annual 2014 Skull Canvas display and Gardinier is excited to pull together another group of great artists who can show off their talents…and sell some creative helmets. 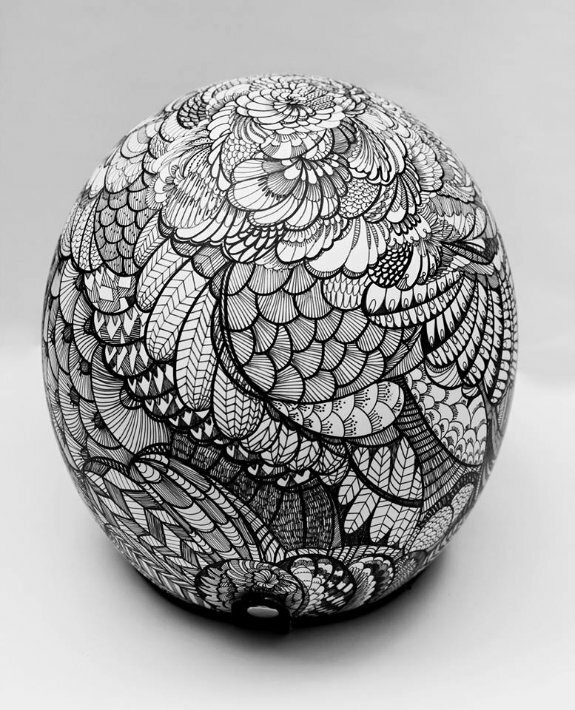 The first couple of years have gone reasonably well and Gardinier says plans for 2014 are already underway as he makes contacts with artists wanting to become part of this display and sale. 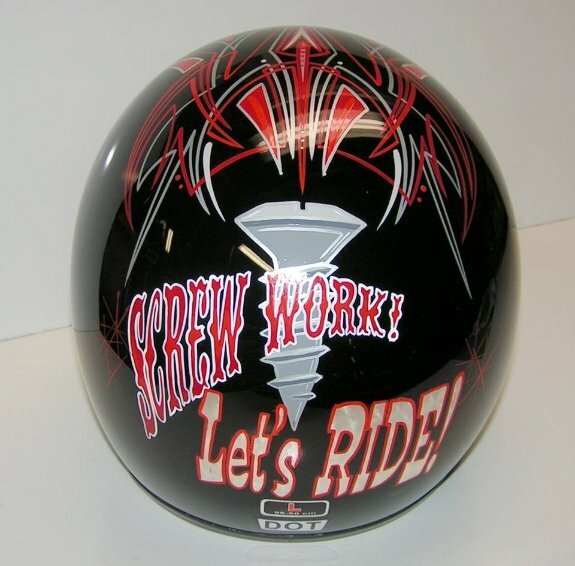 “Know what feels better than getting paid for your work? 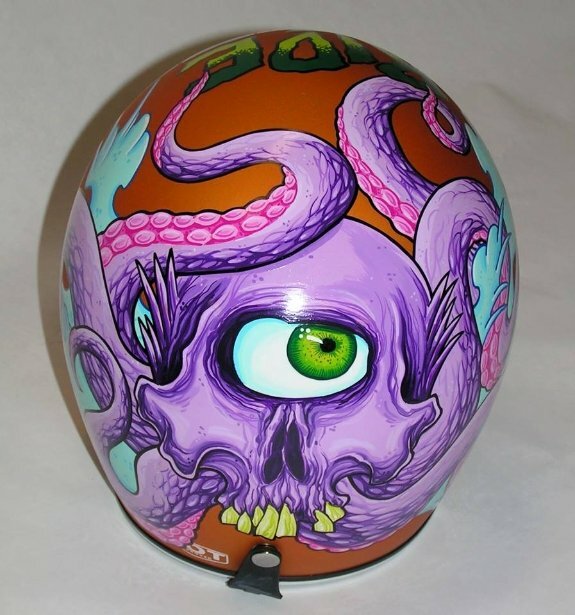 Getting somebody else paid for theirs!” Gardinier teamed up with hot rod and bike builder Bryan Fuller this past year to sponsor the event and is encouraging all artists to get involved. 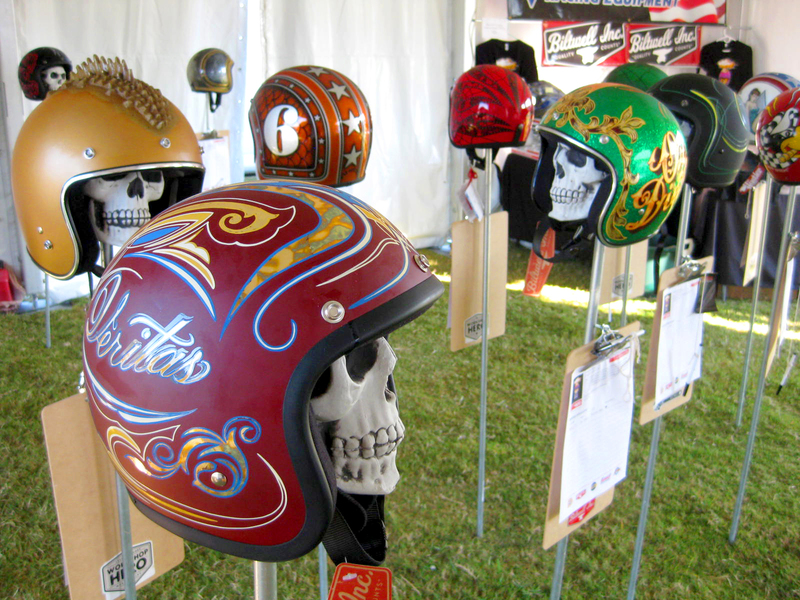 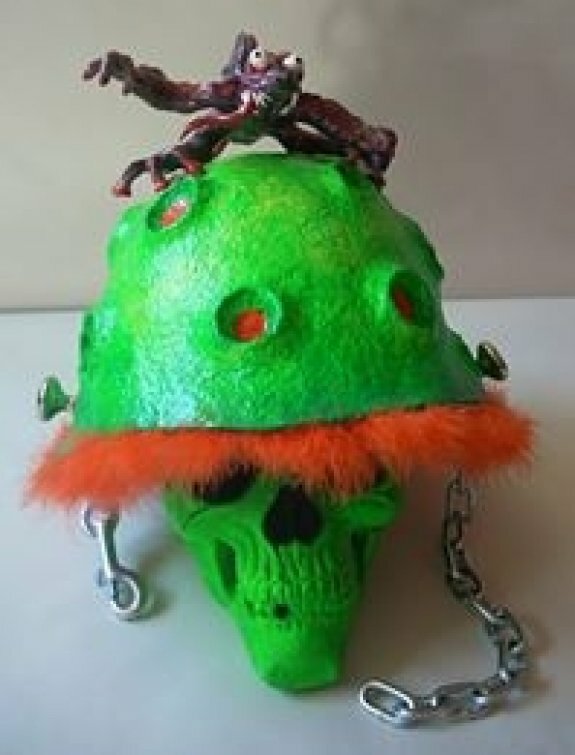 The 2013 Skull Canvas display included 40 helmets. 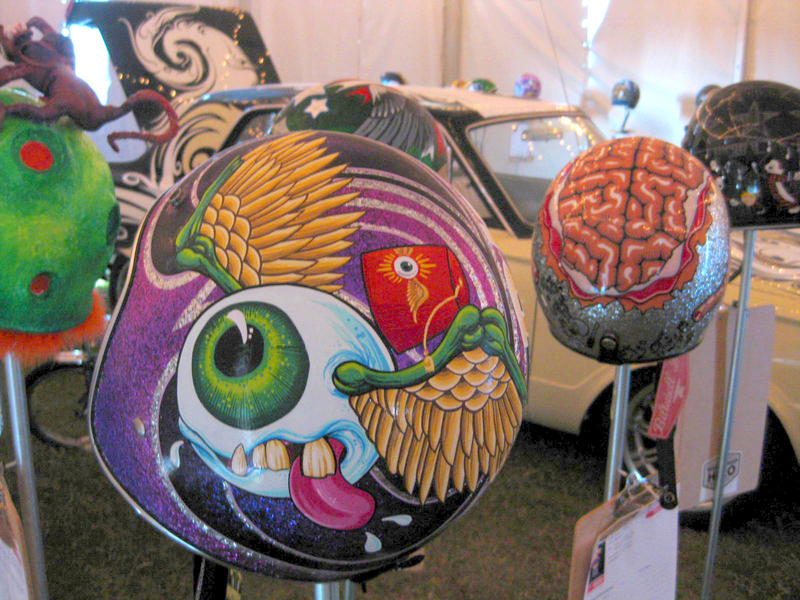 Artists displaying in 2013 included Jennifer Skidmore, Tom Laura, Kathleen Harrigan, Elvis Startermotor, D.E. 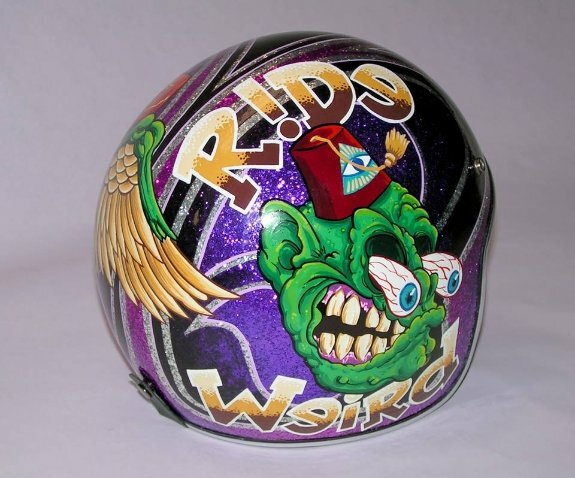 Hill, John Dunn, Richard King, DJay Gillespie, Chastin Brand, Beth Kearney, Mark Hagstrom, Angela Graczyk, Bernardo Corman, Phillip Sims, Igor and Giulia Montevecchi. 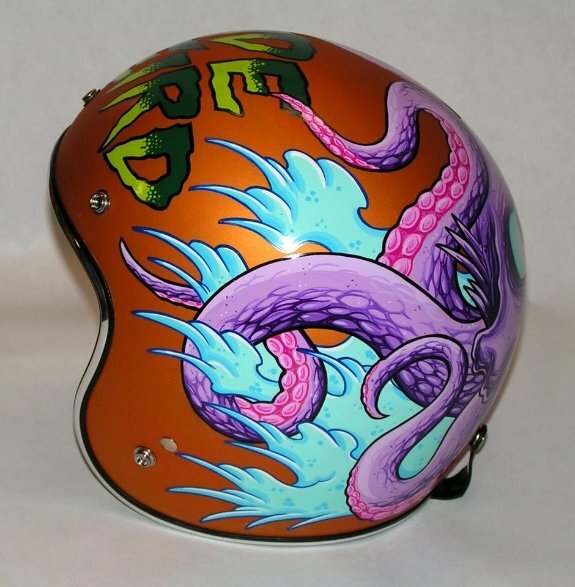 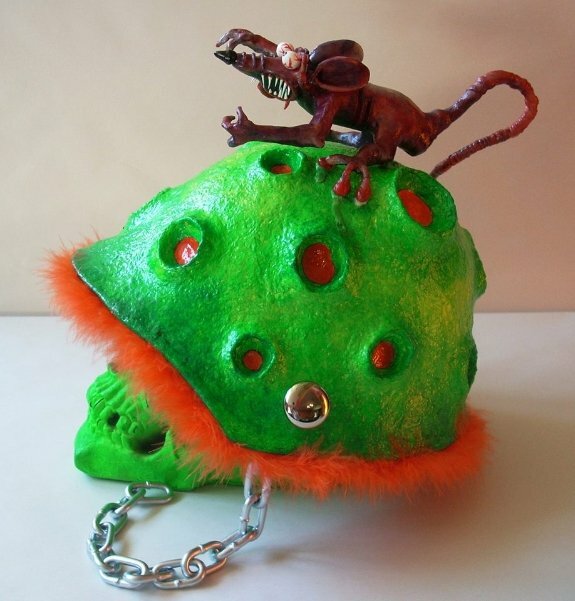 Check out the custom helmets below and let us know which one is your favorite.